Real machine lights and sounds. Motorized action. Moving parts and authentic detail. 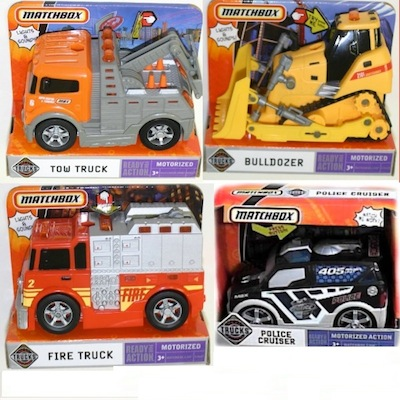 Choice of Police Cruiser, Bulldozer, Tow Truck, and Fire Truck. Price per machine.